Today is a day for Gandalf to lay down the law. Saruman wants to know (after laughing, of course) what sort of demands Gandalf has. Surely he won’t be allowed to leave entirely free, right? Most certainly not. Though Gandalf will allow Saruman to go wherever he wants, Mordor included, he must surrender both the key to Orthanc and his staff. Saruman wants no part of that deal. With another bout of mocking laughter, he starts to retreat from his balcony. Gandalf calls him back, somewhat magically, and really goes at him. 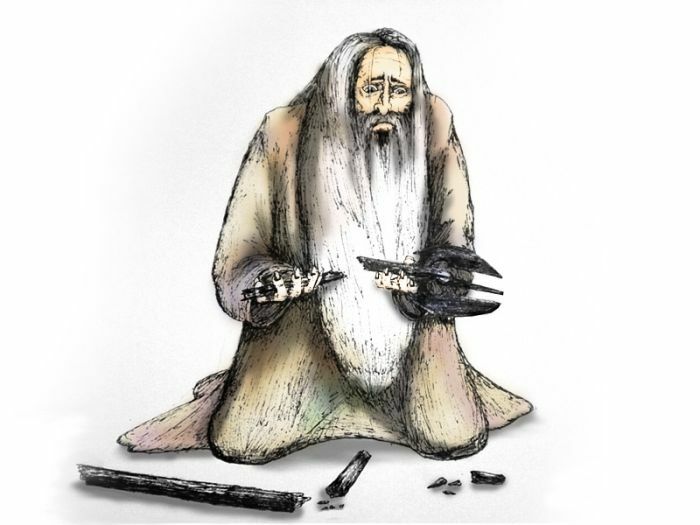 Revealing himself as Gandalf the White, he chastises Saruman’s choice, removes him from the order of wizards, and breaks his staff. BOOM. As Saruman crawls away, a strange object comes hurtling out of Orthanc. Does that sound unimportant? It sure does in the text…but it’s not. Okay, but wait…Gandalf DESTROYS Saruman today, metaphorically speaking. I guess he’s done with being mocked. Oh, Saruman’s wizard privileges? THEY’VE JUST BEEN REVOKED. I really didn’t think it was possible to do something like that, but apparently Gandalf, as the reigning highest wizard, can. Could Saruman have done that to Gandalf, Radagast, or the Blue Wizards prior to turning traitor? Speaking of the Blue Wizards, they kind of merit a mention today. Saruman thinks that Gandalf wants control over everything: the keys to Orthanc and Barad-dûr, the crowns of kings, and the staffs of all the wizards. He says “Five Wizards”, which includes those two elusive Blue Wizards. 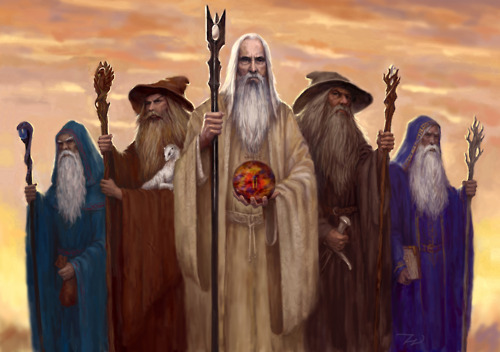 Gandalf, Saruman, Radagast, Alatar, and Pallando. Those are all of them. And with their powers combined, they can summon Captain Planet. And now Saruman can stop it, because Gandalf is officially better than him.